Information & Computer Technology Workers Needed! The Information Technology Association of America has defined information technology (IT) as "the study, design, development, application, implementation, support or management of computer-based information systems". The responsibilities of those working in the field include network administration, software development and installation, and the planning and management of an organization's technology life cycle, by which hardware and software is maintained, upgraded, and replaced. To keep IT systems running, a large workforce is needed to maintain networks, create new software, and ensure information security. In addition, the proliferation of smart phones has given rise to a new “app economy,” in which new employment opportunities are available for workers who create the programs that run on mobile devices. The high demand for the services provided by this industry has created a large number of fast-growing and high-paying IT jobs. Computer support specialists provide help and advice to people and organizations using computer software or equipment. 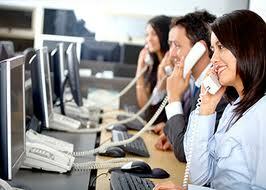 Some, called technical support specialists, support information technology (IT) employees within their organization. Others, called help-desk technicians, assist non-IT users who are having computer problems. Computer programmers write code to create software programs. They turn the program designs created by software developers and engineers into instructions that a computer can follow. Computer systems analysts study an organization's current computer systems and procedures and make recommendations to management to help the organization operate more efficiently and effectively. 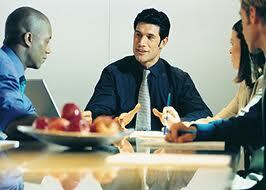 They bring business and information technology (IT) together by understanding the needs and limitations of both. Information security analysts, web developers, and computer network architects all use information technology (IT) to advance their organization’s goals. 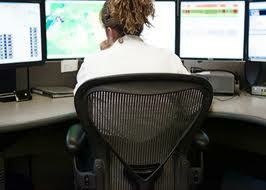 Security analysts ensure a firm’s information stays safe from cyberattacks. 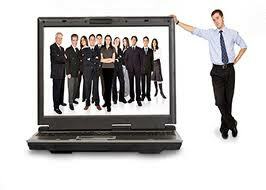 Web developers create websites to help firms have a public face. 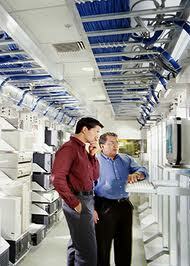 Computer network architects create the internal networks all workers within organizations use. Network and computer systems administrators are responsible for the day-to-day operation of an organization’s computer networks. They organize, install, and support an organization’s computer systems, including local area networks (LANs), wide area networks (WANs), network segments, intranets, and other data communication systems. Computer and information research scientists invent and design new technology and find new uses for existing technology. They study and solve complex problems in computing for business, science, medicine, and other uses. These are just a few of the many jobs and careers available in this industry. Because of the wide range of skills for different computer support specialists jobs, there are many paths into the occupation. A bachelor’s degree is required for some computer support specialist positions, but an associate’s degree or postsecondary classes may be enough for others. After being hired, many workers enter a training program that lasts for several months. A bachelor’s degree in a computer or information science field is a common requirement to be hired as a computer systems analyst, although not always. Some firms hire analysts with business or liberal arts degrees who know how to write computer programs. Database administrators usually have a bachelor’s degree in an information- or computer- related subject. 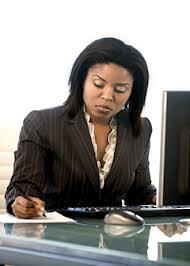 Before becoming administrators, these workers typically get experience in a related field. Most information security analyst, web developer, or computer network architect workers have a bachelor’s degree in a computer-related field. Information security analysts and network architects usually need experience in a related occupation, and additional knowledge of web programming languages can be helpful for web developers. Network and computer systems administrators must often have a bachelor’s degree, although some positions require an associate’s degree or professional certification along with related work experience. Software developers usually have a bachelor’s degree in computer science and strong computer-programming skills. A Ph.D. in computer science or a related subject is required for most computer and information research scientist jobs. There are several jobs in this field that don’t seem to require a High School Diploma/GED though they may require you to be an adult teen 18 or older. It’s not uncommon for minor teens with computer programming experience to be hired. There are MANY internships available in this field. If you are interested in pursuing a job in this field, search for these types of job titles in the database and from our supporters on the right. You should also visit the career/job sections of your local, county and state government. Look for positions that are entry level, internship, coop, apprenticeship and volunteer as well. Software Developers : Occupational Outlook Handbook : U.S.
Computer Systems Analysts : Occupational Outlook Handbook : U.S.
Computer Programmers : Occupational Outlook Handbook : U.S.